It was like that in the Philippines 30 years ago. Must be even worse now, if that's possible, but the locals were already collecting selected polymers as they were paid to recycle it. Because our economy is reliant on consumerism, so the government is complicit with retailers who want to use cheaper single use packaging to maximise profit - they only mention recycling to make us think they care. If they did, single use packaging would already be history. Bulletooth, Ermintrude, Merlin Cat and 2 others like this. Soggz and davidoft like this. Moons and Gingerbus like this. These pics are ones that the wife's grandad took of Hiroshima after he watched the bomb go off from the safety of his naval ship. They moored up, and walked around taking pics of the damage. Uncle Nick, Merlin Cat, art b and 1 other person like this. When my nan died we cleared her flat and found lots of bags full of paper bags and little bits of string etc. It was quite pogniant because it reminded us that she'd lived though WW2 and rationing so didn't throw anything away! Come to think of it, even her old ash bin was mostly full of ash from the fireplace. I can't even remember there being a council rubbish tip that was open to the public ?? Here’s one. Never thought I’d get the opportunity to share this. 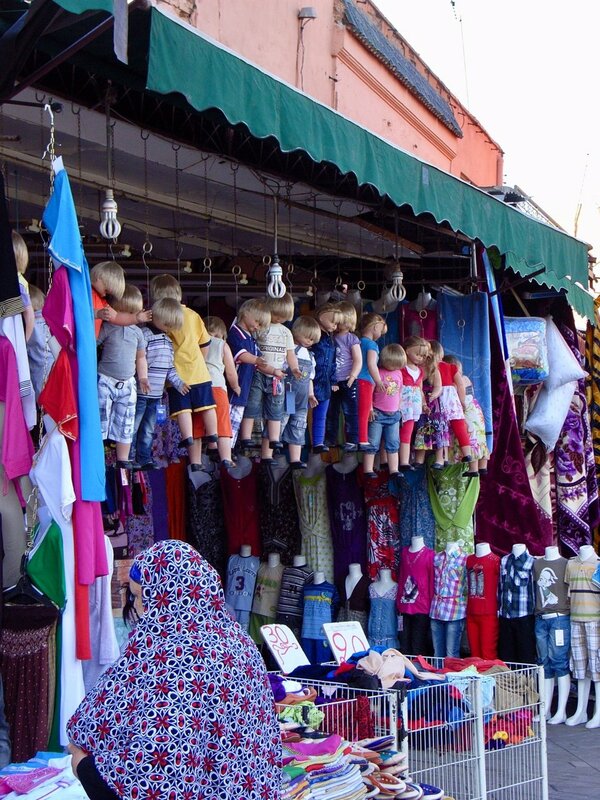 Somewhat disturbing Moroccan clothes shop display with inventive use of spare dummies as there was no free floor space for them. Uncle Nick, Merlin Cat and Barneyrubble like this. What a fantastic method of population control! Hang 'em or behead 'em! That is a bit unnerving! I can literally hear the Volvo's being started to get to the protest march. Meanwhile the rest of us probably think it's sad that in Morrocco they can't get any mannequins that aren't white. Gingerbus, Uncle Nick and Merlin Cat like this. Gingerbus and Moons like this. You know you’ve hit on a point I forgot to mention that occurred to me at the time. I only saw one shop - a high-end tourist shop in Marrakech as it happens - that had non-white shop mannequins.